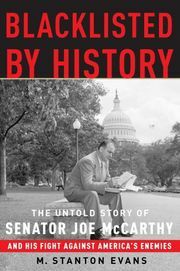 Joe McCarthy might have many character flaws, he was a tenacious and ethical bombast, and a bit too enthusiastic. But the facts are that he was pushing for investigations against real subversive elements within our government: the communists had an incredibly large and complex network of agents and collaborators, and it had not only flourished under the administration, but they had done little to stop it. Joe was given real insider information from various real investigations done by the FBI and the State Department, that were being illegally withheld from Congress (and the public). So the Administration was working to suppress any exposure, and would attack anyone that exposed it. Joe found massive incompetence, and an even broader coverup, and his focus was on demonstrating the coverup. This page was last edited on 30 January 2019, at 02:30.